Facebook Timeline cover photo create a good impact on profile viewer. 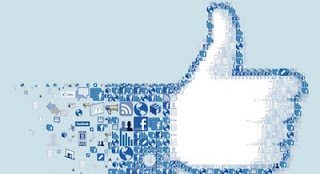 So, It can not be ignored if you want to make your Facebook profile impressive. Most of the Facebook users use a special photos of them. But you will find some cool cover photos with special effects. If you also want to use some attractive and innovatiove cover photos, there are some nice web apps available for free. Use these web apps and create a time cover of your own. Timeline Cover Banner is a nice web app where you can select what you want to add in cover photo. It allows users to select background images, foreground images and effects. It has a powerful image editor which allow you to integrate your cover photo and profile photo in a nice manner. Most important thing about this tool is that it does not add any watermark or branding. Instacover is for those who are Instagram addicted. It allows users to create a timeline cover photo with their Instagram photos. Interface of the website is really nice and good. You can select which photo you want to add in the cover photo. You can also customize background, add texts ad many other things to make it beautiful. DesignYourTimeline is another nice website that has a large collection of nice cover photos. All photos are arranged in catagories that makes it easy to search a suitable cover photo for your Facebook profile. CoverJunction is another nice web app which allows users to have nice cover photos on facebook. Here, you will find various categories from where you can select the best suitable cover photo for your profile. Collection of cover photos is really awesome and you will surely use any from the collection. MyFbCovers is also a nice collection of beautiful cover photos for your Facebook profile. You can select cover photos from many categories. You will surely find a photo matching to your Facebook photo. This is a small collection of Timeline covers’ website and tools to create your own timeline cover. Use these websites and share your experience with us.